Certificates of deposit certainly make a lot of sense for people who want a low-risk investment. You might want to save up for a new car or a new house, but don’t plan on making the purchase anytime soon. In this case, tie up your money with a credible lending institution that earns a better return for less risk. Justice Federal credit union is one of the many companies that offer highly competitive CD rates. At its 1-year term, it gives a 1.00% APY. This type of term is most popular among the consumers, since it gives them just the right amount of buying time for interest growth, and not run the risk of losing too much money. Plus, your money is safely insured. This one-year term is more than at par with the national average of 0.67%. Although it still lags behind other banking giants such as CIT bank’s 1.08% and Ally bank’s 1.020%, JFCU certainly comes close to these rates. This makes JFCU very competitive, ensuring you get the most out of your investment. For a 60-month term, you get a 2.25% APY. For a 48-month term, you get a 1.80% APY. For a 36-month term, you get a 1.50% APY. For a 24-month term, you get a 1.20% APY. For an 18-month term, you get a 1.10% APY. For a 6-month term, you get a 0.60% APY. For a 3-month term, you get a 0.45% APY. JFCU requires a minimum deposit of only $500 once you decide to open an account with them. Upon doing so, your account will start earning the interest from which the APY is based on. The interest money, which is compounded monthly, is placed to your account every three months. At this time, you also get statements from your account to keep you updated. Once the account reaches maturity, you can opt to withdraw all total earnings or make another investment. It all depends on your immediate needs. Although you get to earn more when you invest in a longer-term CD, you must be sure you won’t need that amount before the full period is over – or else the penalty fees you incur may significantly slash down what you could’ve earned in full. For a 1-year CD term and less, the penalty is 90 days less of the total dividends. Meanwhile, CD terms more than a year have penalties of more than 180 days. JCFU has branches all across the country, so check out the nearest branch to avail of their incredible CD offers. With today’s standard APY fixed at a 1-year CD of 0.99%, finding rates higher than this is like finding a pot of gold at the end of the rainbow – lucky and very rewarding. Specifically created for the benefit of members of the US military, the Pentagon-Federal Credit Union offers an interest rate of 1.50% annually in their certificate of deposit accounts. This offer is among the highest there is today, alongside Doral Bank’s 1.50% and AloStar Bank of Commerce’s 1.030% APY. While traditional CD offers compounding your deposits annually at the least, the Pen-Fed offers what is called the Money Market Certificate. Here, your money can be compounded in six months. After this, you can have the option to transfer the amount to another account, or credited at maturity as well. In order to open a new account, you need to deposit only a minimum of $1,000. Penalty fees are issued when the account is withdrawn before it reaches maturity, however, you may utilize 95% of the initial amount for the certificate to be used as collateral when you loan. Upon maturity of the principal amount, you can use any of the aforementioned choices as well. Unless you inform Pen-Fed of any changes in your decision, automatic renewal of the certificate will ensue. Truly, the Pen-Fed Credit Union allows those in service to not only save lives, but save their money as well. For over 77 years, the Pentagon Federal Credit Union has catered to the banking and financial needs of members from the US Army, Air Force, Department of Homeland Security, Coast Guard, Department of Defense, veterans of foreign wars, and other defense-related companies. With over $15 billion in assets and its strong credibility built from years of experience, the Pen-Fed Credit Union is one of the most stable and trusted companies in the country. 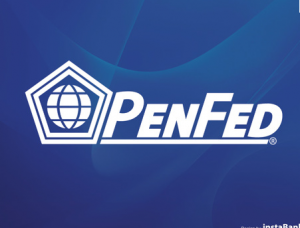 Just like its members, the men and women that help protect our nation, the Pen-Fed is well-reputed for its attention to the utmost security of its accounts. Melrose Credit Union located in Queens New York holds the top spot for the 12 Month CD rate at 1.51% APY. Melrose is a Credit Union open to all residents and only requires a $1 application fee. Since Melrose came on the scene they have kept the top spot for many of the CD rates we track. They are currently in a dead heat against iGoBanking, a division of Flushing Savings Bank also located in New York. Not only do both of these financial institutions hold the top spot for many CDs, but they blow away the national average (0.59% APY – 1 year CD) for any certificate of deposit on the market today. In a struggling economy it’s difficult to find a decent rate of any kind, unless if you are planning on refinancing your mortgage or buying a house. Mortgage rates are falling to all time lows, which are good for people in the home buying market, but rates in the savings market are dismal. 1.48% APY from Bank of Internet, with a minimum deposit of $1,000. 1.45% APY from MetLife Bank, with a minimum deposit of $25,000. 1.40% APY from Ascencia, with a minimum deposit of $500. As the economy strengthens and interest rates increase, so should CD rates. All eyes are on what will happen next year and whether CD rates will increase in 2011, only time will tell. Goldwater Bank is offering a 1 Year CD rate of 1.40% APY. A certificate of deposit guarantees you the rate that you lock in when applying for the CD. The certificate of deposit is also insured by the FDIC, so your money is safe. With Goldwater Bank, a minimum of $10,000 is required to earn the 1.40% APY. Every CD is subject to an early withdrawal penalty if you decide to close the CD or take money out early. CD rates are subject to change at any time. Goldwater Bank is located in Scottsdale, Arizona and offers its customers online and mobile banking. They deliver financial products and services, “honestly and with common sense and humility”. There is no big bank feel and with a strong commitment to their community and customers, you are sure to be taken care of. The current highest 12 month CD rates (certificates of deposit) that are nationally available are currently paying up to 2.25% APY. Depending on where you live in the US, you might be able to find slightly higher interest rates than the national average. The winner of the top 12 month CD rates currently goes to ING Direct at 2.25% APY. Most new CDs must be funded with new month to get the rate advertised. This is a way for the banks to get new money to lend or to create a cushion for their bank. New money is important to any bank and their financial well being. With their 12 month CD paying 2.25% APY, you will might be able to find local rates in your area higher than ING Direct’s CD rates. If you have an account with ING Direct and wish to transfer funds to this new CD, or if your current CD just matured you can still transfer money over and get a rate of 2.10% APY for the 12 month term. The next best 1 year CD rate that is available nationally goes to UmbrellaBank which yields 2.06% APY. To get this rate you will need to deposit a minimum of $1,000, which is pretty low compared to some opening balances required for the higher paying CDs. Discover Bank comes in 3rd with a rate of 2.0% APY on their 12 month CD and also they are throwing in a sign up cash bonus of $25.00. The minimum deposit to open this account is $2,500 and depending on how much you put in at first the sign up bonus could equal close to 1.0% more to the earnings of this 12 month CD. If you know of other higher paying CD rates for October 2009 please let us know! Amboy Direct another online banking site is offering a 2.10% APY 1 Year CD for balances over $10,000, called the eSavings CD. The minimum opening deposit is a mere $100 but the CD rate drops to 1%. Any deposit over $10,000 will lock your rate at the 2.10% level, plus the great thing about AmboyDirect is that you can add to the CD within the first 6 months! So if you start off with a deposit of $10,000 you can continue adding to it like a savings account with much higher interest. Most certificate of deposits do not allow you to continue adding to the balance, so if you came across more cash you would have to open another CD. With the eSavings CD it makes saving so much easier and the maximum deposit you can have is $100,000 for the CD. Visit Amboy Direct here. Amboy Direct makes it easy to get started by having an online application form and if you are already an Amboy Direct customer you will still have to fill out the application. As soon as you submit the application your cd rate is locked at the current offering which is 2.10%. As soon as the cd matures it is converted over to an eSavings account automatically unless if you ask for it to be renewed, making it that much easier to manage your savings. It’s important to find out about any early withdrawal penalty on any CD that you get. With Amboy Direct their early withdrawal penalty is only 3 months’ interest (unlike Chases’ massive penalties that you can read about here). A great strategy for this type of CD is to start with $100, then watch to see how rates increase over the next few months and if the 2.10% is still a competitive rate, then bump up your balance over the $10,000 mark to get the 2.10% APY. If rates increase past 2.10% then start another CD at the higher rate and go from there. Just remember you have 6 months to add to your eSavings CD. Watch out for possible issues with Amboy Direct as they currently have 1 out of 5 stars for soundness rating from bankrate, so be careful and do not go over the FDIC’s $250,000 limit to protect your money in case of a bank failure.